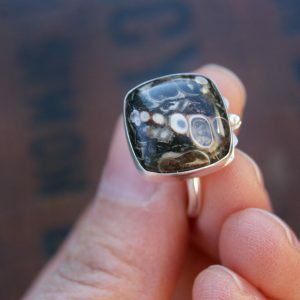 The stone measures 26 x 25 mm. 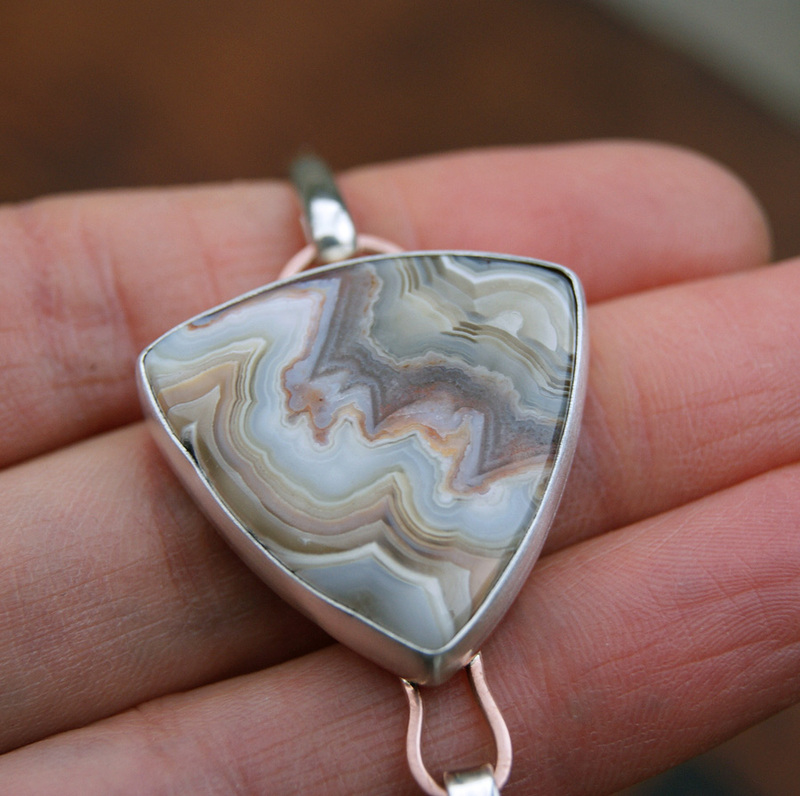 This piece of Lace Agate comes from Mexico. 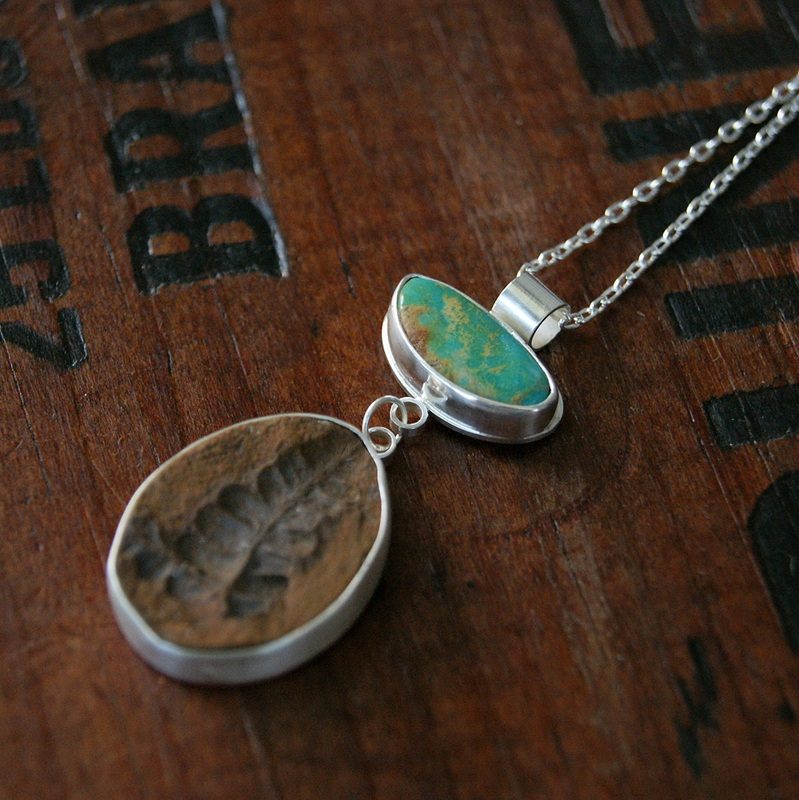 — pairing lovely natural cabochons with silver. 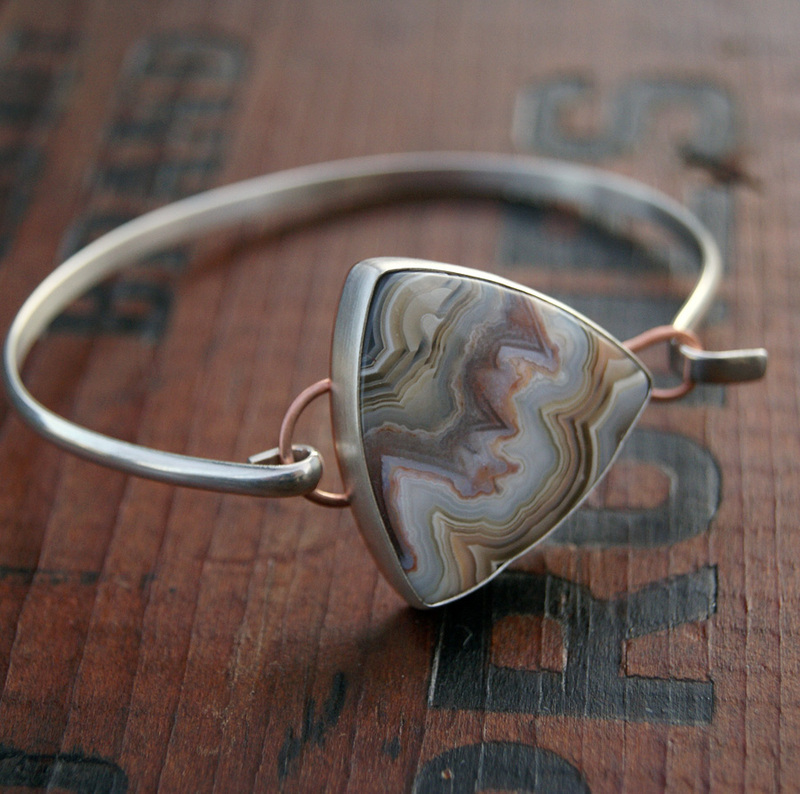 This simple bangle features a pretty, feminine, triangle of Crazy Lace Agate. A soft palette of white, creams, greys, and peachy pinks with a “crazy” zigzag pattern that reminds me of seismic activity. 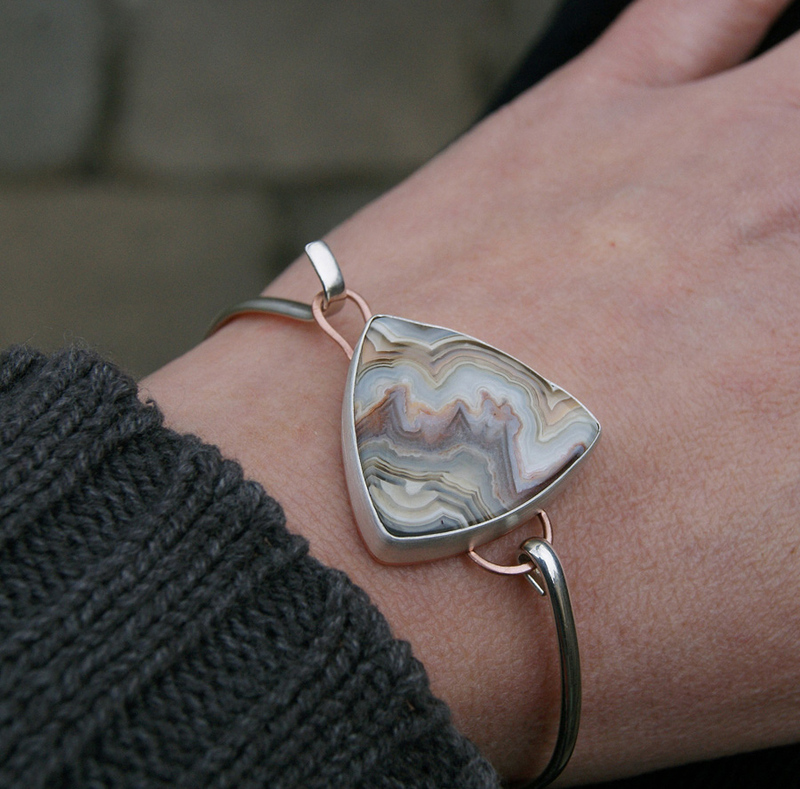 The bangle is constructed from half round sterling wire and connects to the stone with a simple tension clasp. The band has been given a shiny finish on the exterior and a matte finish on the interior. 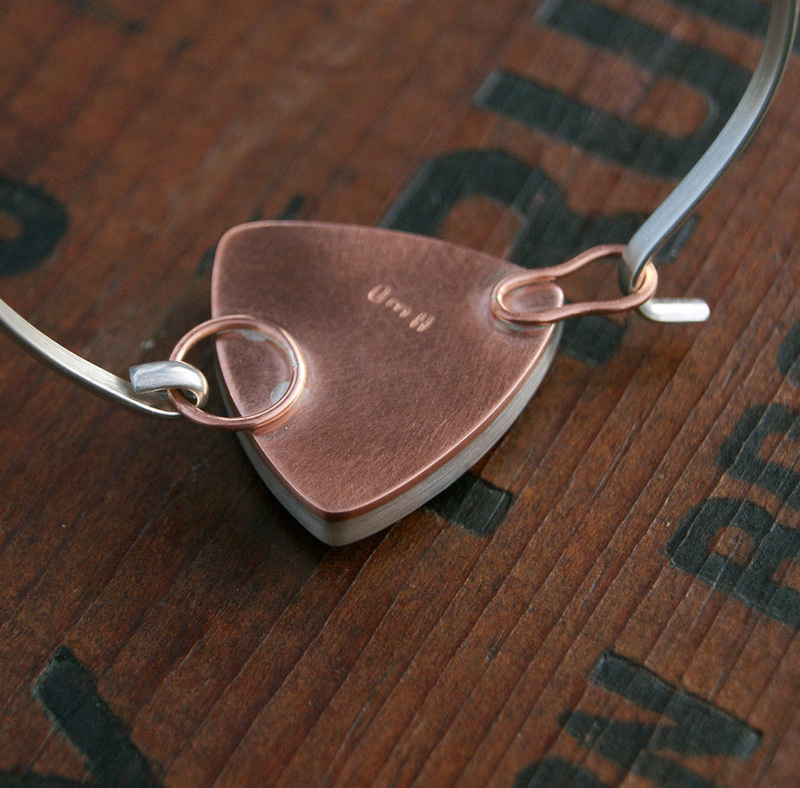 The back of the bezel cup and the “clasp” have been constructed out of copper which goes nicely with the pinkish colors in the stone. 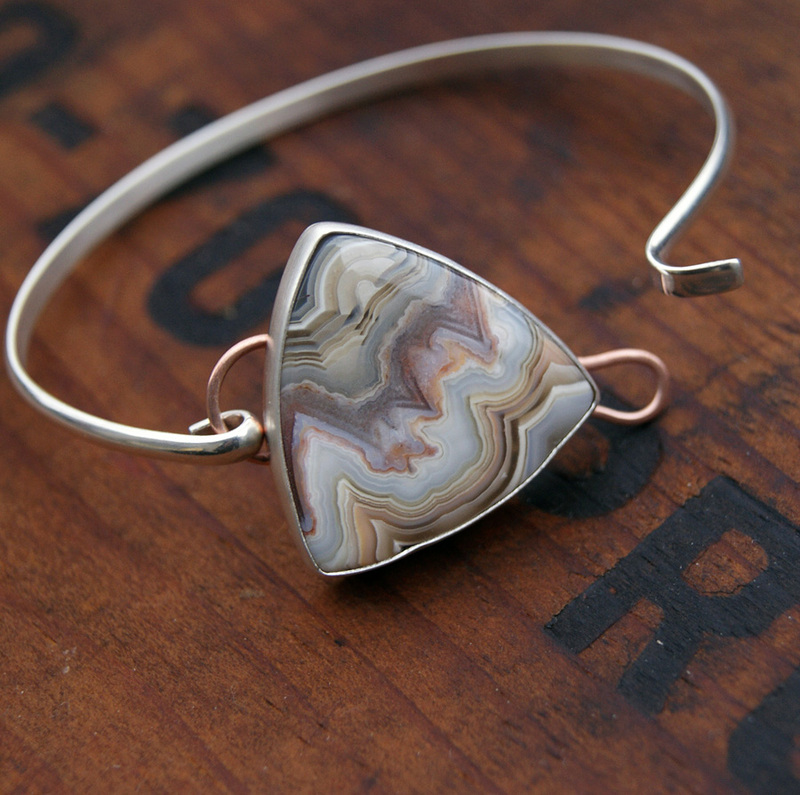 The bezel cup has a brushed finish. 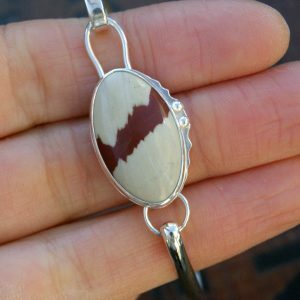 This bracelet measures just under 2.5 inches (62mm) in diameter across the widest portion and the clasp opening measures 1.25 inches (33mm.) It’s a good fit for a 6.5-6.75 inch wrist. Feel free to contact me if you have questions about size or need further measurements. 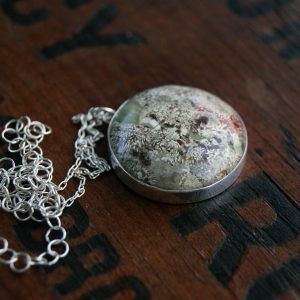 This piece is one of a kind and is stamped with my initials.